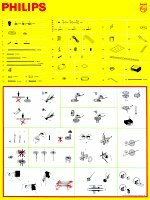 The mechanical kits are closely related to the electronic kits, and even contain electromechanical constructions requiring a contemporary EE kit. Like the EE 20 and early EE 1000 series of kits, the ME 1200 was in the US sold under the Norelco brand. The design is sufficiently similar to the older kit that the ME 1800 series of expansions also can be used with the new kits, and many (ME 1800–07 and ME 1813) were continued as a part of the new series. 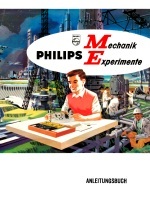 The Mechanic and electronic kits could also be combined with the Philiform series (a LEGO Technic-like system) which appeared around 1970 and soon took over the position of the ME kits – and then disappeared itself. ME 1200, ME 1201 and ME 1250 manuals. 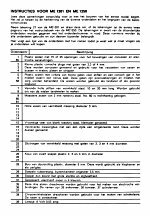 The ME 1201 manual consists of large (50 by 70 cm) construction sheets. Both this and the ME 1250 manual are non-verbal, and contains only illustrations. A small multilingual leaflet accompanies these.